Every day in the world more than 200 billion emails are sent. Online services, companies, and governments often use email as a so-called personal identity, that’s why you should know how to keep your email secure. 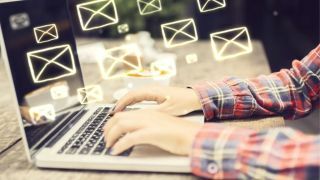 Despite the fact that most of the emails belong to routine correspondence, a large number of it contains important, sometimes confidential information. The leak or loss of the information could harm its owner. A few simple steps can help you to protect email from different methods of unauthorized access to your email correspondence. 3. The selected mail server. If you don’t know what VPN is and how to use it, you can read this article. If you do know, don’t forget to use it during the work with email, especially if you are connected to public Wi-Fi spot. The information that you are sending into the network will not be available to intercept and use without your permission. Many email services offer their services on favorable terms, but not all of them provide a reliable protection for their clients. We won’t recommend you some Internet email services or advise you which one is better. Only what you need just choose that service that uses encrypted data transfer protocols, such as HTTPS, SSL, etc. It doesn’t matter what kind of emails do you send today and whether they are valuable. Use strictly strong password at least 12-15 characters long, consisting of large and small letters, special characters and numbers. This will significantly complicate the use of password guessing, known as “brute-force”. If you are not James Bond or other face of a world scale, the attacker will refuse to break-in or choose another method. The using of two-factor authentication denies the access to email without entering an additional password that usually is sent to your mobile number, or response to an additional question indicated in the registration box. If you access email using someone’s or a public device, do not click “remember on this device”. Thus, even if your password was caught by a keylogger, access will still be possible. If it is possible, create your own security question, the answer on which will be hard to guess. If IPS don’t give you such an opportunity but have prepared questions, choose the best one. Keep in your mind that you shouldn’t be honest with them and that you can give false answers, which will be easy to remember for you. So, it won’t give an opportunity use it by a person, who knows you closely. Try not to send confidential information by e-mail. If there is an urgent need — encrypt text messages using special email encryption software. Be sure that you understand the algorithm of the program before you can encrypt messages so that the recipient can decode it. People like to share useful information or find new friends. If you post your email in the comments be prepared that the attacker may send you an email infected with malware or dangerous virus. Use additional email for comments, as well as antivirus or special online services. Protect your device from malware penetration. None of the methods that were listed above can protect your email if your device is “infected” with spyware or viruses. At the end, it’s worth to notice that absolutely reliable method to protect email does not currently exist. But the use of the methods that are described above will reduce the risk of becoming a victim of hackers or intelligence agencies. If you suspect that your email could be hacked, please contact support mail service.